Colleagues, welcome to the first blog of 2018; here's to this year being a great year for us. In this blog I will update you on the activities of the Federation during January and will also reflect on some of the excellent work you have all done over the last 12 months. In our line of work each year rolls into the next, but ever the optimist I am looking forward to this year. I was reminded only recently of the words of Henry Ford: "Coming together is a beginning, keeping together is progress and working together is success". So, my New Year's resolution is to encourage everyone from Chief Constable to Police Constable to work together, to listen to each other and be consistent in our approach. Let's make 2018 a year to be proud to be part of BTP and make coming into work as fulfilling and rewarding as possible. The end of 2017 and the start of this year saw the Force pay due recognition to BTP officers and others who were involved in the horrendous incidents in Manchester, London Bridge and Grenfell Tower. Some of the stories and headlines that came out of the two excellent ceremonies were astonishing, as were the fabulous words of support received from members of the public. If there was ever a time to feel proud to be police officers - BTP officers - then this was that moment. I know that not everyone involved in these awful incidents attended the awards ceremonies and received recognition, but that doesn't take away the excellent work you all did. There can be no doubt in the minds of MPs, other police forces and the public about what it is that BTP does and can do. From all in the Federation, we congratulate you, our courageous and heroic colleagues. As I reported in last months' blog, I attended a meeting of the Scottish Police Authority where a progress report on the integration was given by Police Scotland. The SPA's risk register was discussed, highlighting six main risks (you can read and download the paper here). Two of the six were officers' terms and conditions and officers departing railway policing. Evidently what came out of this meeting and comments made in my Blog attracted some attention and there has considerable debate. Several individuals and organisations have now asserted that full integration is not achievable by April 2019 and officers in Scotland will have seen Ch. Supt. John McBride's update from the recent MTT meeting. There have been several calls to pause the process to allow time to overcome some of the significant challenges posed by matters such and T&CS and ICT. Yesterday Liam Kerr MSP brought to the Scottish Parliament a motion to do just that, but after lengthy debate and a vote, this motion was not carried forward. Integration of BTP Scotland into Police Scotland is the will of the Scottish Parliament and we respect that. However, given the range of challenges that need to be overcome in what is now a relatively short period of time, it seemed to us sensible to pause the process to allow detailed work to be done and costs to be assessed fully. In November, during an appearance on the Sunday Politics Scotland programme, Michael Matheson said he would consider putting the merger on hold if the Joint Programme Board were to raise concerns. The next meeting of the Board takes place next week. Surely consideration will be given to what will happen if full integration cannot be achieved by April 2019. What does 'operational integration' look like as an alternative? Is it a viable alternative? Our officers, who continue to live and work under a dark cloud of uncertainty, need advice and reassurances. Following a lively debate in the House of Lords, Lord George Foulkes has requested a full progress report from the JPB. Earlier this month he and his fellow peers raised significant concerns around the merger, focusing mainly on the lack of a business case, cost analysis, the impact on officers/staff, training, cross border crime and counter-terrorism. The Parliamentary Under Secretary of State for Scotland, Lord Duncan of Springbank, committed to securing a meeting with the joint UK and Scottish Government chairs of the Joint Programme Board (JPB) to highlight the concerns raised by the House. What was incredibly satisfying during this debate was listening to many of the Lords sharing their views on what they thought of not only the integration but also the service that BTP delivers across the country. They highlighted the importance of a national police force and made many complimentary comments about the excellent work of BTP. Those opinions and expressions of gratitude are a reflection on the excellent work you deliver daily on the frontline. It is so reassuring to know your hard work is appreciated. I have written to Lord Foulkes to thank him for his contribution and his views on BTP. I have also written to the Convener of the Scottish Justice Committee on invitation to provide an update regards the negotiation process. This can be viewed on the Scottish Government website. While these debates continue, so does the work to map out our terms and conditions. With the assistance of Dougie Brownlee and Stuart Cowan, local Federation representatives, we have met with the Scottish Police Authority and Police Scotland HR to compare our T&Cs with those of Police Scotland. This is no easy task and we have further meetings planned for late February to continue with the process. Regarding pensions, we still wait to see any proposals and I can reassure all, including retired officers, that we remain vigilant and aware of the issues with the rumoured proposals. In liaison with the NARBTPO, Supt Association and TSSA we will raise all concerns and risks associated with any proposals during forthcoming forums. Earlier this month the Chief Constable visited Scotland to speak with officers about the integration. I believe they called it "Have coffee with the Chief" despite their being no coffee. But hey, I am hoping that we can forgive him the absence of caffeine and welcome the engagement with those officers affected by the transfer. I know from speaking to the Chief he received a traditional Scottish welcome, and left knowing exactly how his officers are feeling towards the integration, which is good. He is attending next week's Joint Programme Board and has committed to more regular visits to Scotland. I will remind him to take some coffee beans with him next time (joke!). As I reported last month I believe DCC Hanstock remains open to feedback from the Federation and from officers working the current rosters and I genuinely believe he will attempt to find solutions to concerns while monitoring performance and demand. What we all must continue to do is provide sound, factual evidence of roster concerns or failings so that there can be continued effort to keep the rosters on the agenda and under review. I believe you should never say never and the reports we are receiving still suggest there are concerns that need to be highlighted and we will continue to do so. There is still a long way to go to improve the roster situation and I am pleased to note that the force have not simply brushed it to one side as a done deal. Last month I also reported that C Division had taken a position to roster officers on New Years Day no more than 6 hours for the working day. You will recall we challenged the decision through the Machinery of Negotiation and I'm pleased to report that the Divisional Commander, in liaison with the DCC, changed the decision and rightly allowed officers to work the Bank Holiday accordingly. I am pleased to report that the Chief Constable has authorised us to retain our third full time Federation post, and this will be confirmed at the next NNM. There is a caveat in that the position will be reviewed in 18 months. This is good news for Mark Marshallsay who can now focus fully on his role and bring some positive changes. More importantly it's good news for your, our members. 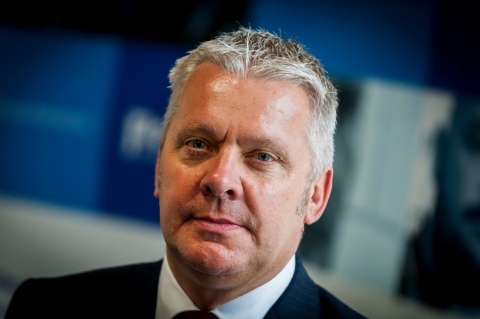 Mark manages several areas of our work relating to finance and efficiency, which enables me and our General Secretary to focus on matters directly affecting your welfare and wellbeing; this is especially important given the current climate in policing. Our next NNM is on 14 February 2018 where we will raise and hopefully finalise negotiations on the Working Time Agreement and Roster Agreement, Overnight Allowance, and the Machinery of Negotiation (which allows the Federation to function accordingly). The new Limited Duties Policy is still being debated and may not be finalised but it is on the agenda. To reiterate our position on the Overnight Allowance, if an operational requirement means you're being instructed to stay at a location overnight and are unable to go home, you're entitled to the allowance. If you're given a choice of staying or going home, then you're not entitled to it. There are possible changes on the horizon, one of which being the introduction of a document that is entitled "an officers handbook". This includes the T&Cs/Regulations which we have sought legal advice on. We have encouraged the Force and the Authority to produce a document comprising our rules and regulations so you all have a point of reference, and the Chief Constable has confirmed there is a need for these to be in one single document. There are obviously some differences with some of the interpretations of the Police Regulations; hopefully we can resolve and agree the interpretations so that the document can be published sooner rather than later. This will be an opportunity to demonstrate the benefits of working together to achieve a common aim. Last month HMIC conducted a further inspection of BTP around efficiency and effectiveness. The talk on the 6th floor at Camden is that the HMIC was very impressed with what they saw, so we look forward to a further report that will hopefully recognise all your hard work. I appreciate how frustrating it is to constantly hear about inspection after inspection. It does feel like that we are the most inspected Police Force in the country and some would ask 'why so many inspections?'. Like any other force we are not immune to scrutiny and it's important to have an independent body looking at what BTP is doing, from management to frontline. The feedback and reports from the inspections are of the utmost importance; there is no sugar-coating as we saw from the last public report from the HMIC. We are unlike any other force but what we are is consistent in the excellent reports we receive year after year regarding what you, the officers on the frontline, deliver to the infrastructure we police. The excellent comments published regarding the service delivery and the commitment of all in BTP go a long way to demonstrating the value of our work. On the subject of reports being released, we still await the results of the recent staff survey, which should be published by the end of this month. Welfare and wellbeing are fundamental aspects of the Federation role and if we feel that the Force survey does not address the concerns we're hearing then we will conduct our own survey to assist the Force in understanding the feelings of our members. This week began with a meeting with the Chief Constable in company with the Supt Association and TSSA. We were provided with updates on Scotland, DRD, budget and the potential Target Operating Model (TOM). We are not yet in possession of any decisions regarding TOM because work is ongoing to determine the preferred options. This meeting was closely followed with our Management Board meeting; three times each year Area Secretaries and Chairs come together to discuss the concerns and ideas from your Divisions. Finally, as we head into February we're finalising plans for our annual conference in March. This year we are in Manchester, having visited Scotland and Wales over the last two years. I am really excited about our Awards of Excellence on the eve of conference. The recipients of the awards are officers nominated by you, their peers and colleagues, and there are some fantastic and very impressive stories, which again will drive that message of pride and professionalism, showcasing what it is that BTP are outstanding at. Keep your eyes peeled on our website and social media where you will get to see the winners that you nominated and the stories behind their excellent work. The following day our conference will take place and we expect to receive updates from the DFT and our Chief Constable. Your elected representatives will have an opportunity to ask the Chief and the Authority questions that concern you; this is always an interesting session. We also have some very good guest speakers, but there will be more on them in next month's blog. Thank you for reading this monthly blog. I hope it provides sufficient updates and information on what your Federation are doing on your behalf. Don't ever hesitate to contact your Federation if you need our assistance. Quote of the month: "I've learned that people will forget what you said, people will forget what you did, but people will never forget how you made them feel".